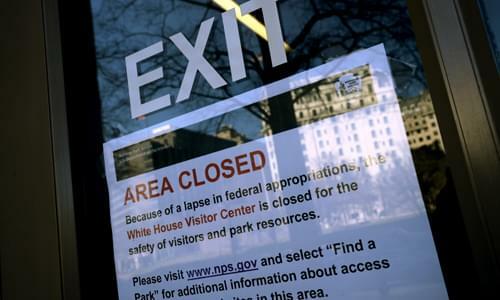 On Friday’s Mark Levin Show, First, the partial government shutdown has actually only been going on for 13 days not 21; most government agencies are closed on weekends, Christmas and New Years Day. Secondly, do we really feel the effects of this shutdown? The vast majority of our government is functional. And the media wouldn’t dare ask average Americans that aren’t part of the government how they’re being affected by the shutdown. That’s because most are doing fine during this time. This whole mess at the border is because our representatives are not representing the best interests of their constituents. Meanwhile the cable pundits continue to predict that if President Trump enacts a national emergency, he will be defeated in court, however there are no facts to support this assertion. Surrender ought not to be an option, but if weakling Republicans begin to buckle, the President will have less negotiating options. Then, we remember the late Congresswoman Barbara Jordan’s exhortation to control immigration through border management, workplace management, and limited residencies for those that wish to assimilate. Yet the Democrat Party continues to support lawlessness through sanctuary city policies and this manufactured shutdown crisis, while turning a blind eye to what’s going on at the border. This isn’t about politics, its about doing what’s right for our country! Finally, the FBI opened an inquiry into whether Trump was secretly working on behalf of Russia. Do you belive this? This exposes the rouge operation that was taking place at the DOJ and at the highest levels of the FBI.